The S 522 EHM Endurance for Stainless Steel delivers ultimate blade life in metal. Featuring a carbide tooth strip, it provides excellent rigidity and stability for maximum lifetime. Additionally, the blade’s precision-ground teeth are optimised for cutting stainless steel. Its tooth strip is welded to a highly elastic carbon steel body with Carbide Technology, allowing the blade to cut through very tough materials. Moreover, it can be used in metal materials with a wall thickness of 1.5 mm to 4 mm due to its fine tooth pitch (1.8 mm). It is equipped with a short length of 115 mm, providing a cutting capacity of up to 50 mm. 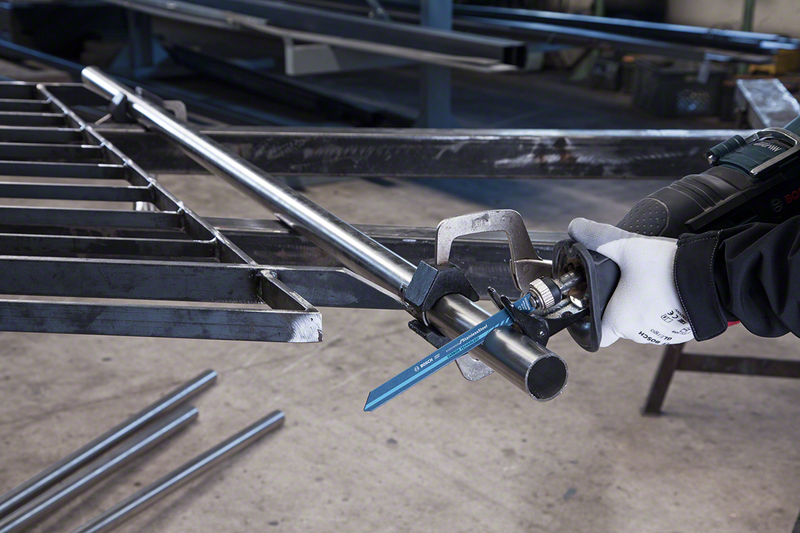 For use with reciprocating saws with 1/2 inch universal shank systems.